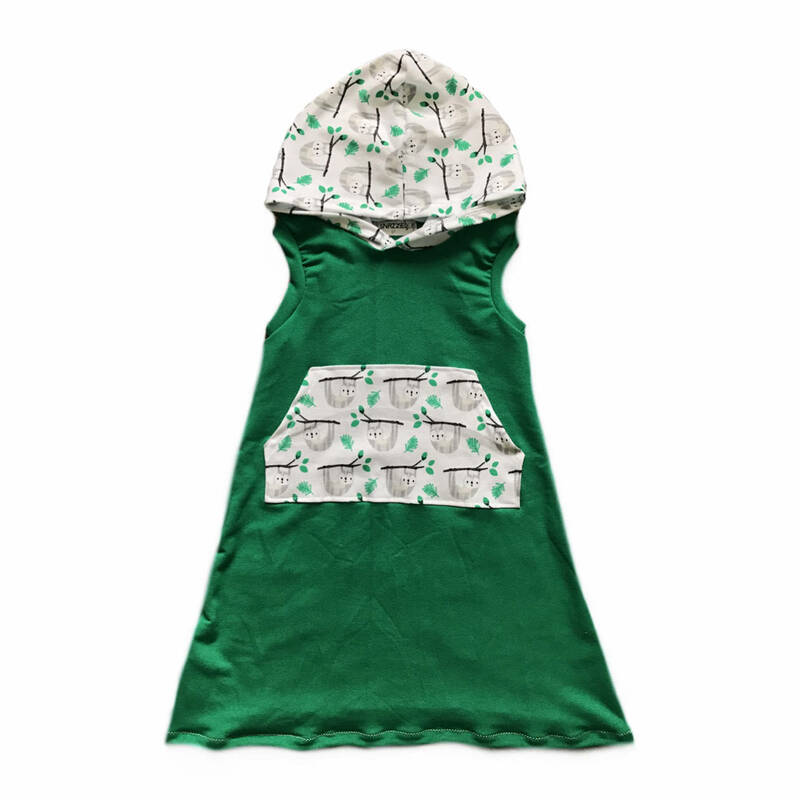 Keep your little loved ones cozy in our comfy hooded tank dress. This dress will keep your little one comfy and the cutest looking thing around. Perfect for those fun play days! These dresses are READY TO SHIP. They will ship in 1-3 days of purchase. Our little hoodie dress is made from buttery soft French terry and knit fabric. This helps gives your babes the ability to be comfortable while playing or just wearing around the house. And it's so so soft!! Caring for your clothing: Machine wash cold inside out using mild detergent. No bleach or fabric softener. Tumble dry on low then remove promptly or lay flat to dry. *please understand that due to the handmade nature of this item, please allow slight variations in print placement , color, and fit.